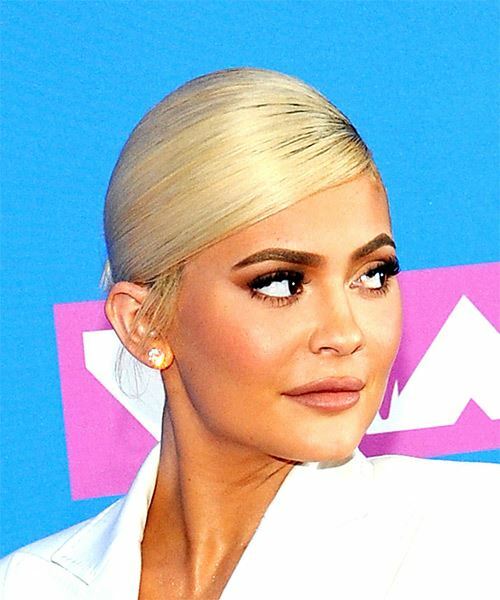 Kylie Jenner's blonde hairstyle is sophisticated and classy with a hint of sass. 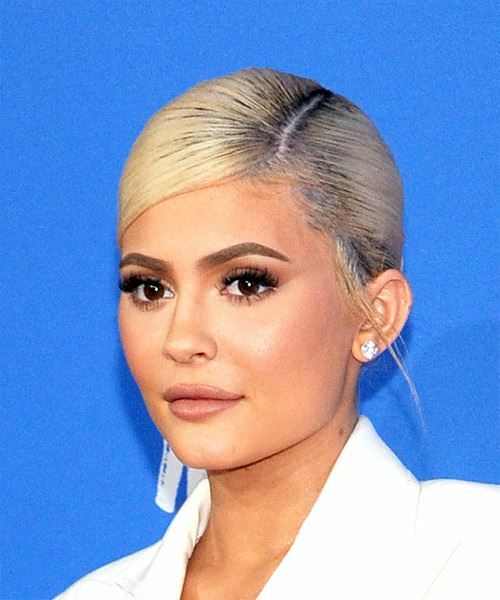 Her hair has been gelled back tightly into a ponytail which is tucked in, and a few pieces of her hair has been left out to fall onto the side of her face. 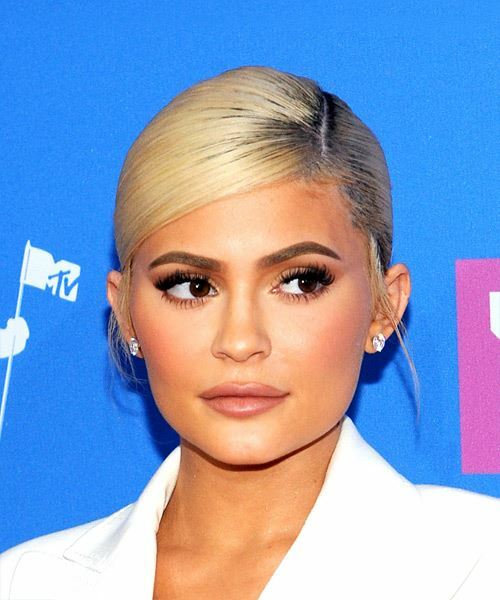 Her bangs are side swept to the right to contour her forehead and side of her face. Her path has been placed to the left of her giving the hairstyle some character. Her darker roots are showing through her path which gives this look a hint of natural color. This look does require some product to keep your hair in place and might take you a while to get this look perfect. Due to the fact that this is a sophisticated look, you do not want to go crazy with your makeup colors. Natural is the best option with a bold eye to complete the look. Now you can also look like a business queen with this look!